Samuel Clinton McDaniel, Jr., 68, of Chattanooga, passed away on Thursday, January 17, 2019, in a local hospital. 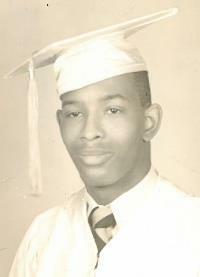 He was a 1968 graduate of Riverside High School and a member of Olivet Baptist Church. Samuel was preceded in death by his parents, Samuel and Vashti McDaniel, Sr. Survivors include his sons, Samuel (Tynese) McDaniel, III of Arlington, Tn., and Nathane McDaniel of Houston, Tx. ; daughters, Sheena McDaniel and Jaunda McDaniel, both of Chattanooga; six grandchildren; brother, Robert McDaniel; sisters, Sandra (Robert) Madry and Angela (Donald) Holmes, all of Chattanooga; several nieces; nephews; cousins; other relatives and friends. A memorial service will be on Wednesday, Jan. 23, at 3 p.m. in the chapel of Taylor Funeral Home.